We all go looking for a spiritual teacher to tell us what to do or where to go to reach Spiritual awareness, to become one with everything, to be a better person and you buy every book that you know about, read every magazine, go to every conference or course you can find… and guess what the best school for Spiritual Awakening its your home! How can your home be your school for spiritual awakening? In the past, I did just as you do now I spent lots of money looking for answers to my spiritual questions, to my insatiable need for knowledge I ended up with only one book picked among several and back home. Yes, back home, you face your family issues, your problems, your resentments and all the pain, abandonment and all the things you think your family did to you. Then you come to realize the more you forgive them the more you work towards your Spiritual Awakening! As you can see the best school for your spiritual Awakening its your home with your family those are the thorns on your soul the ones need get rid of. 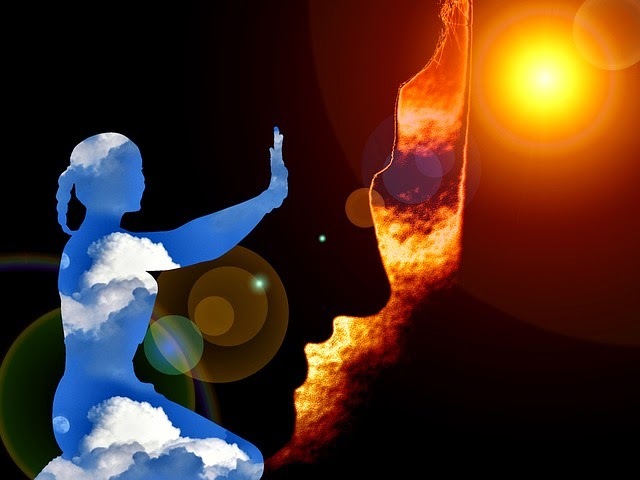 There are many ways that can take you to your Higher Self one of them its through your husband, your wife, your mother, father even your children. I think the word “use” might sound, you a little bit off, but in this case its correct because you use them as mirrors, oh yes, they are mirrors reflecting back to you all what you don’t like about yourself. At home every day, every hour is a lesson when you sit together at breakfast, lunch or dinner, when you call your husband at work and he doesn’t answer as soon as you would like him to or when he forgets to go to the store and buy something you needed. Simply by your desire of changing your children or your partner, changing the way they think or they behave, when feeling victimized by what it is done to you. All you have learned about Spiritual awakening its challenge it here, it does not make sense to go away where no one is around you, where it's only you and your soul. What lessons are you learning? The main lesson you learn is that the biggest mountain is within you Higher Power always teaches by repetition if we don’t get it the first time we will eventually because it will be coming back again and again until you finally forgive the “issue”. The lessons are about love and forgiveness because by forgiving others, we forgive ourselves, as you might know a lot of the problems we have in our lives come from unresolved situations with our parents, siblings and/or with love life partners. It's for you to decide if what you are giving is unconditional love or conditional illusion be honest to yourself, discover the best school for your spiritual awakening it’s at home. Don’t miss your chance for Inner Growth while at the same time loving them as one. What do I do Meditation or Prayer ?